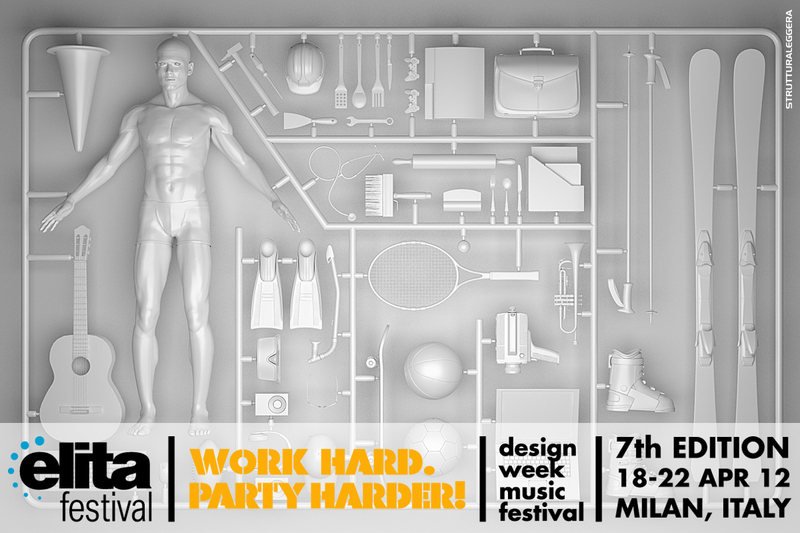 You're excited for the kickoff of the 7th edition of the Elita Festival in Milan, which runs from April 18 to April 22. In addition to art exhibitions and installations, lectures and panel discussions on contemporary culture, the festival features live performances by Skrillex, Jamie Jones, Little Dragon, Brandt Brauer Frick Ensemble, Soul Clap, Matthew Herbert, Maya Jane Coles, Mr. Scruff, Connan Mockasin, The Field, Vondelpark, and Chelsea Wolfe, among others. 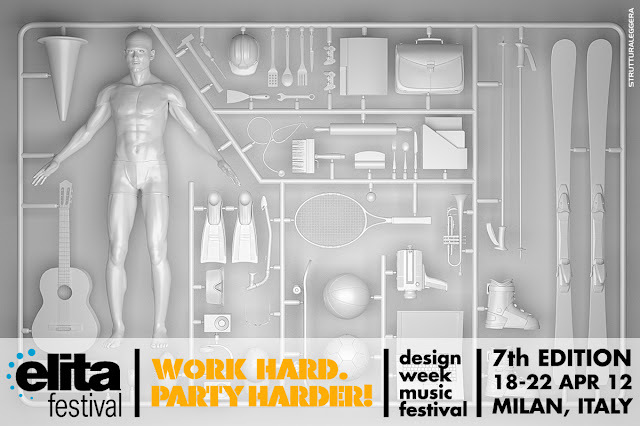 The theme for Elita 2012 is "Work Hard, Play Harder," which is a call for development in the crisis era. The idea is that Italy can still grow and flourish if the right balance is struck between working and having fun. .... and no one knows 'play' better than the Italians. Bunga Bunga.